Born and raised from Gurue, Mozambique, Dias is a Medium Level Technician in Agronomy and a Specialist in Plant Health for Legado’s Mozambican partner organization, LUPA (Associacao para o Desenvolvimento Comunitario). Dias studied at the Polytechnic Institute of Agronomy in Isla de Juventude, Cuba. 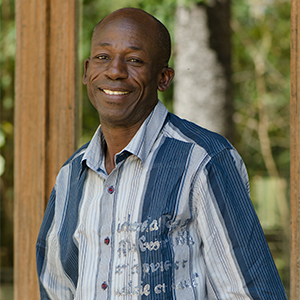 He has much experience working with NGOs specifically with World Vision – with whom he worked for 7 years working in rural communities promoting agricultural best practices in the Gurue region in Mozambique.